A PREGNANT deer which became stuck in a fence had to be rescued by firefighters. 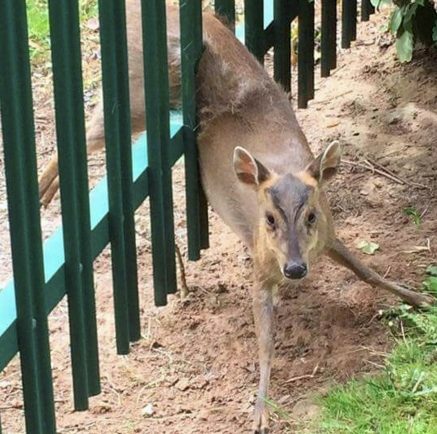 Crews were called to St John’s Primary School in Kenilworth where the distressed doe had become stuck between the metal bars of a fence on Friday (April 28). The muntjac deer was checked over by staff from Nuneaton and Warwickshire Wildlife Sanctuary before being released.